What's your opinion on how well dinosaurs performed in the parenting department? These are all guesses, by the way. Theropods, I'd imagine, practiced extensive parental care. There's evidence of parental feeding in Allosaurus and Troodon and adult and juvenile specimens have been found together in various tyrannosaur species; not just tiny babies, but moderately-sized subadults. When you consider these were amongst the most intelligent of dinosaurs, it's not surprising. A baby Troodon would require a relatively long period of cognitive development; basically, a long period of infancy. 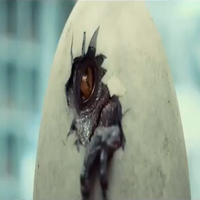 In Troodon, it's most likely that only the male looked after the eggs and chicks. Studies have concluded that Troodon females likely did not brood eggs, that the males did, and this may be a character shared between maniraptoran dinosaurs and basal birds. Sauropods, conversely, would be pretty precocial (able to feed themselves out of the egg), with the parent(s) only providing loose protection, if that. There's evidence of pre-hatching parental care in several species (e.g. Saltosaurus); some species may have stuck around after the babies hatched for a while, whilst others might have not done. I'd imagine there were many different rearing strategies across the many sauropod species. Ornithopods most likely practiced post-hatching parental care. Hypsilophodonts have been found associated with juveniles and hadrosaur nesting sites are famour. For marginocephalians and thyreophorans, the picture's a bit muddier; there's evidence the former practiced post-hatching parental care. I'd guess the latter did too, considering adult and juvenile footprints have been found in several species of stegosaur and ankylosaur. I recommend reading 1) Bakker's Dino Babies!, & 2) Zoehfeld's Dinosaur Parents, Dinosaur Young: Uncovering the Mystery of Dinosaur Families in conjunction with other, more recent books (E.g. Holtz's Dinosaurs in general & Chapter 36 in particular). I reviewed both books (Bakker's book: http://blogevolved.blogspot.com/2015/05/my-9th-pair-of-reviews.html ) (Zoehfeld's book: http://blogevolved.blogspot.com/2015/10/my-11th-pair-of-reviews.html ). Chapter 4 of Naish/Barrett's Dinosaurs: How They Lived and Evolved is also good.